The award stands as testament to Y3’s ongoing commitment to deliver innovative, best-in-class, trusted solutions to industry-leading clients. Y3 Technologies, Singapore’s supply chain and omni-channel solutions leader, has been recognized as the“Best End-to-End SCM Solutions Provider – South East Asia”. Awarded by Transport News International, a UK-based leading digital publication in the supply chain & logistics sector, recipients are evaluated based on the depth of their solutions, complexity of projects delivered, geographical reach and overall performance over the past 12-months. The 2017 Logistics, Warehouse & Supply Chain Awards recognize and celebrate the achievements made by companies, teams and individuals due to their tireless efforts and dedication to their work. On a daily basis they work to ensure the communication between a company and the supplier is strong and efficient. 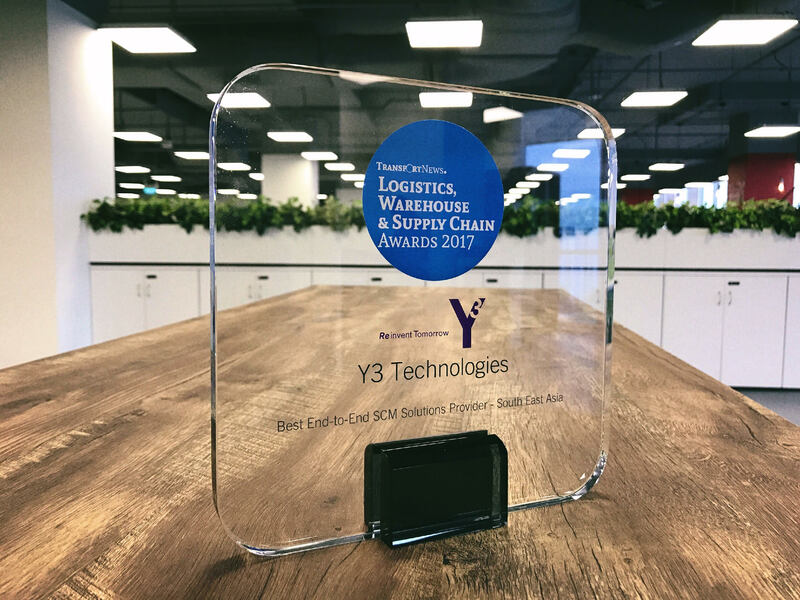 This achievement stands as testament to Y3’s ongoing commitment to deliver innovative, best-in-class, trusted solutions to its industry-leading clients.